So, you’re interested in the quality of the place you live in and have ideas for how to make it better. But how do you go about making this happen? Town Teams are a way of overseeing town centres and championing local causes; and have an important role in making a town plan a success. They are a visionary group of people responsible for coordinating the voice of the community, guiding the Shape My Town process, organising the various stages of the process, working with stakeholders and consultants, driving your plan forward, and delivering the project aspirations through a shared vision and shared goals. Your Town Team might come from existing successful partnerships or might be a newly formed team. It should be open to everyone and should include people with a wide range of experience and expertise. There will often be charismatic, passionate local people who can become or are already ‘town champions’- keen to play a role in local affairs, connected widely and who care about the place they live. A useful guide exploring how to identify and make the most of these champions can be found here. To make sure the aspirations of the whole town are reflected, a Town Team will need to involve a cross section of the community, including local residents, businesses, voluntary and community groups and land owners; The aim of the process is to engage as wide a section of the community of possible. This will encourage wider support for the plan, rather than it being seen as dominated by one person or group. Formalising your Town Team will add impetus and authority. This could be done through a charter or perhaps through consultation with your Town Council or Local Authority. If you are an independent team, then appearing professional will increase your voice and impact within your town. Coordinated leaflets, posters and brands are important, and means of communicating with your town should be considered from the start. Perhaps you could set up a website, blog or Facebook group. Go to Shape My Town's Townloads page to download a poster template if you are planning a Town Team event. What is the purpose of your Town Team? 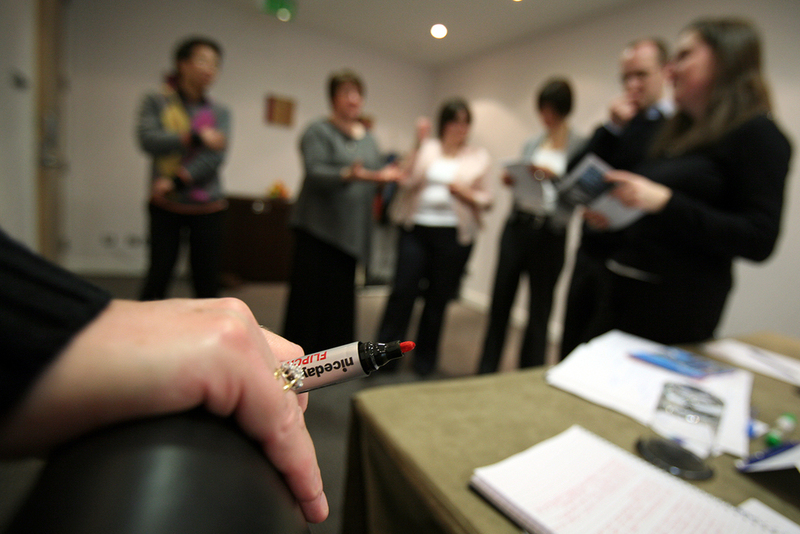 What skills do your team members possess? What skills may you have to find from elsewhere? What is the role and responsibility of each member of the team? How often will your team meet, and where? 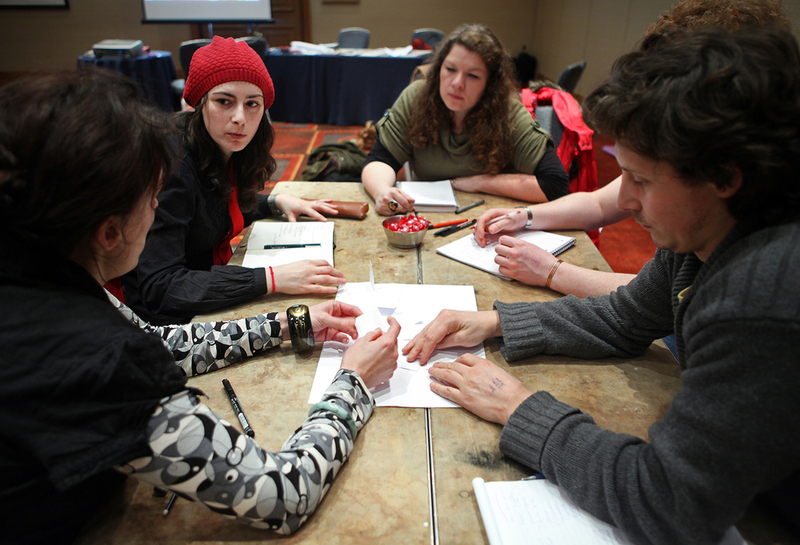 How will your group contact and consult the wider public? How will you report on your progress? How will you ensure the team has longevity? A local approach to town centre regeneration through the creation and development of town centre partnerships, led by the Local Authority. Wales has 22 Local Authorities and 3 National Park Authorities. Partnering with your Local Authority will help you link your aspirations with their policy frameworks. You can also draw from their experience in dealing with planning policy, parks and green space, street care, highways and youth and community; and they should be able to connect you to elected local Councillors who can help to raise support for the project. Your Local Planning Authority will have a Local Development Plan that outlines relevant policies and what can be built where across your area. Contact your Local Planning Officer to find out more. National charity, Planning Aid Wales will be able to help you get to grips with planning policy. They provide specialist help and resources for communities and Town Councils as well as information and contact details for each planning authority in Wales. The cost of commissioning a specialist will depend on what you want them to do. Whatever you wish to achieve, your Local Authority should be able to advise on local or national specialists and funding sources to enable you to achieve your goals. 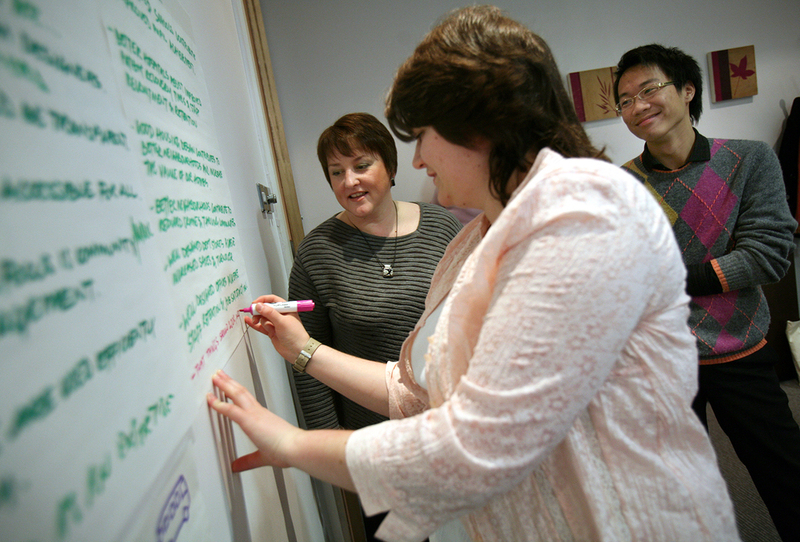 Independent facilitators, such as those trained by Action for Market Towns (AMT) or Action with Communities in Rural England (ACRE), are able to provide practical advice during the development of a community-led plan. A small town in North Wales, Corwen had suffered from the closure of its railway following the Beeching Report. However, the volunteer-run Llangollen Railway is being extended 2.5 miles from Carrog and will eventually terminate at a new station in the town. 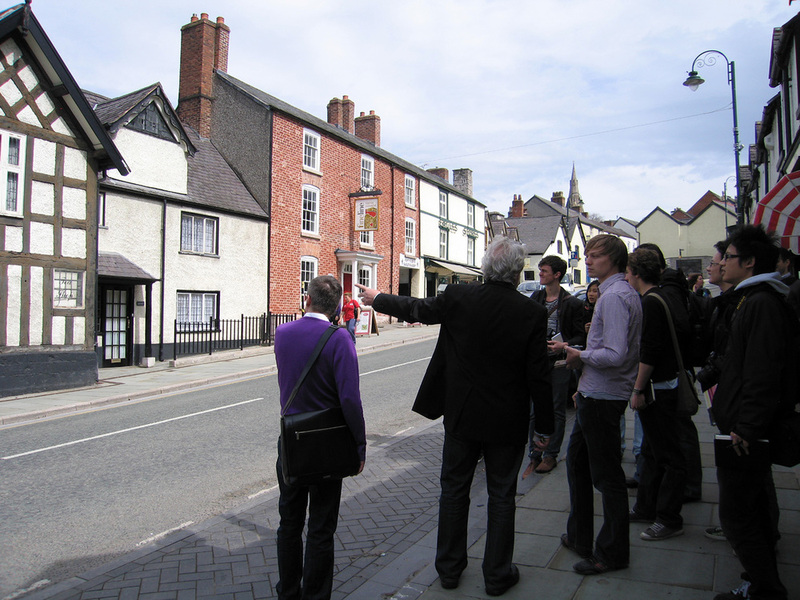 In 2010 Addo were appointed by the Partneriaerth Corwen Partnership to engage an artist in residence to explore the potential of public artworks as a tool to lift the visitor experience of the town and draw visitors the extra 250m from the station to the town centre. Click here to find out more. The people of your town know it best. A wealth of knowledge and experience exists within your community; an asset that you can tap into to understand your town and develop a vision for its future. For a successful Plan for your Place, a broad spectrum of the community will be collaborators in the project, giving them a sense of ownership of the vision. A Plan might be guided and presented to the community by an employed specialist, encouraging them to engage in dialogue with the Council or a developer, and preventing a feeling of something being imposed on the town. Go to Shape My Town's Townloads page to download a poster template to promote your event. School and youth groups are often keen to become involved in local projects, and the involvement of young people can often lead to surprising results. The wider community should not act just as a sounding board for your ideas, but their value as a generator of ideas and as a wealth of knowledge should be employed. Their input should inform the development of a plan and can suggest avenues of exploration the Town Team may not have considered. You might need to provide information in several languages or formats to make sure it is accessible to a wide range of people. A week of exciting events organised by Ruthin Town Council to get feedback from the community about their town.